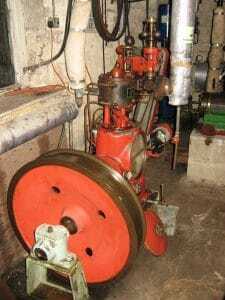 Downstairs in the workshop area can be seen a collection of small steam engines that includes a Sissons single slide valve engine (seen here). The Sisson Engine was built by Sisson & Co. of Gloucester in 1956 specifically for instructional purposes As with G. & J.Weir, Sisson & Co. mainly produced marine engines and the company was formed in 1889. 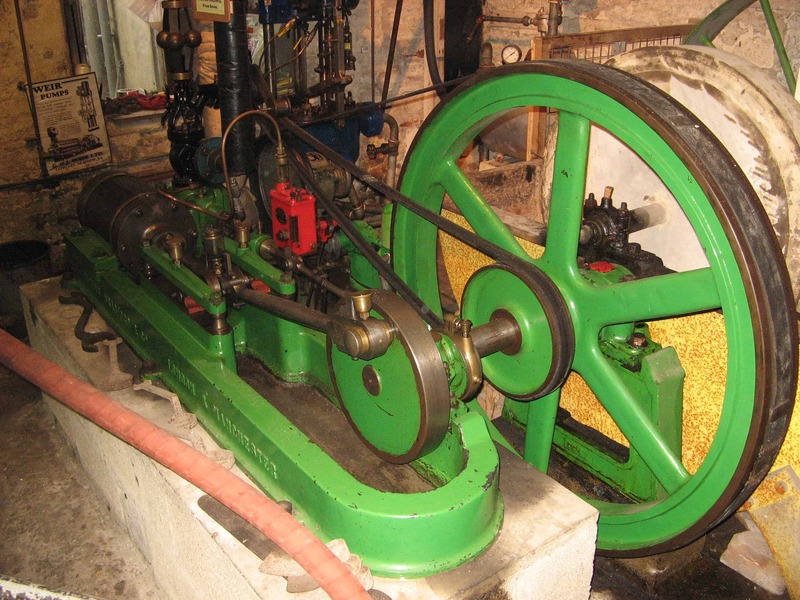 However, this engine did not make it near a ship and was used for undergraduate teaching in the engineering department at Oxford University. For this reason it has a clear crankcase cover so the mechanism can be viewed and was fitted with a revolutions-per-minute gauge which are not normally found on commercial engines. An indicator can also be fitted which provides information about the work done on each cycle by drawing a graph of pressure against piston position. 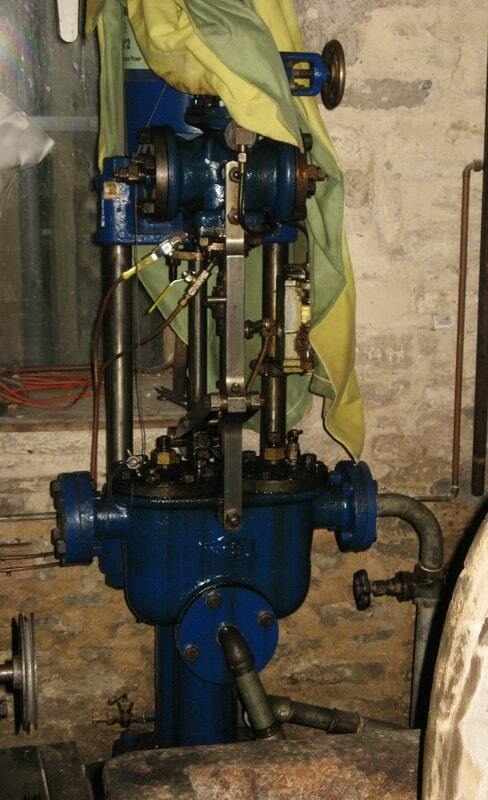 The final adjustment to make it fit for educational purposes is that the point in the piston stroke at which the steam inlet valve closes can be varied to illustrate the effect on power and efficiency. 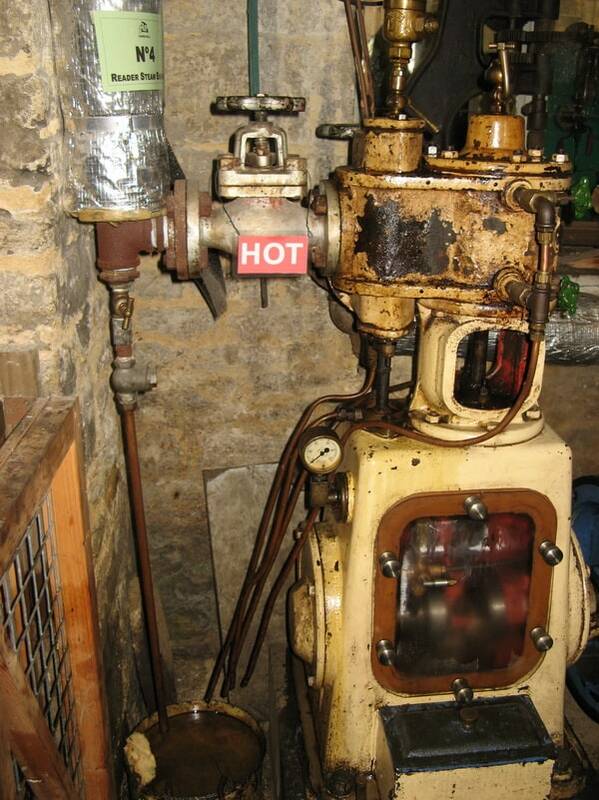 The small steam engine collection illustrates the evolution of steam engine design since the time of the beam engine.